Cows attacking rice strawlage as a tractor drops it into the feeder. UC Cooperative Extension advisor Glenn Nader believes two problems could add up to one win-win solution. The California drought has ranchers desperate for inexpensive livestock feed. Air quality protection regulations that limit rice straw burning leave the rice industry with an abundance of typically low-quality straw to unload. 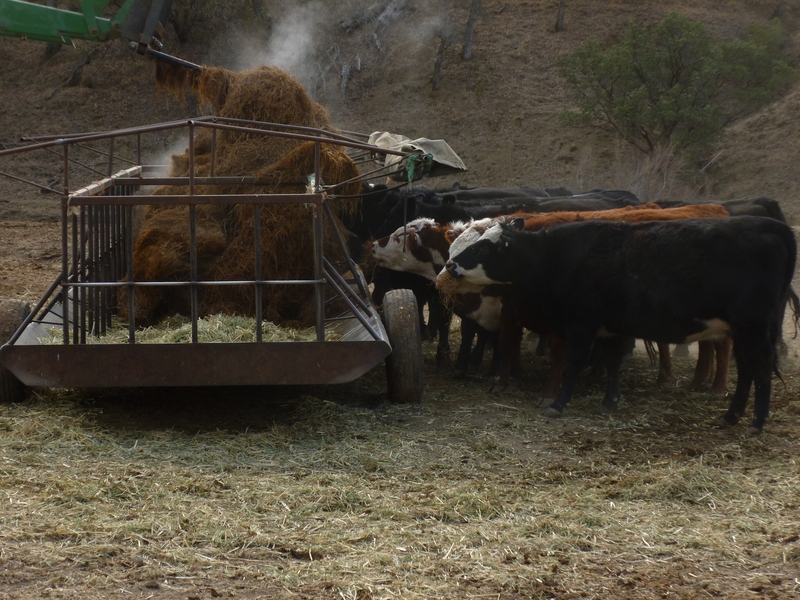 Though it has rarely been done, Nader believes special treatment of rice straw will make it a nutritious cattle food. Two problems solved. 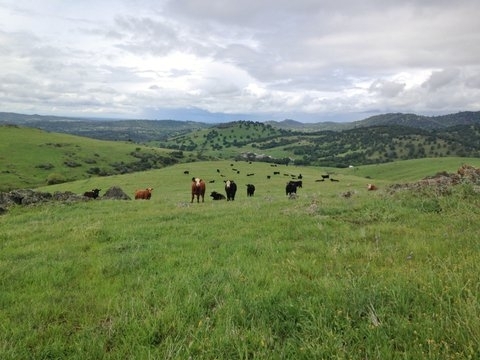 Nader will introduce producers to this new way to get through the drought at a meeting from 9 a.m. to 12 noon July 29 at the Veterans Memorial Hall, 525 W. Sycamore St., Willows, Calif. When rice straw dries, its value as a forage declines dramatically. For 15 years, UC researchers have been trying to figure out why, but the reason for the significant change is not understood at this time. Ultimately, it was a rancher who suggested the scientists to put aside their desire to know why quality declines when rice straw dries and look for practical ways to get around it. Nader postponed his retirement to comply. Normally, rice growers bale the straw two to four days after harvest. Nader and his colleagues instead baled the straw immediately after it exited the grain harvester. They stacked the green straw bales and covered them with a tarp to retain moisture and prevent spontaneous combustion. The result is a product they named “strawlage.” One worry is mold. The researchers found that treating the straw with propionic acid prevents fungus growth. Nader believes the UC research into using rice straw for livestock feed will be helpful throughout the world. Asian farmers produce rice straw in great abundance and their livestock would benefit significantly if the farmers worked to maintain the plant's moisture until it reaches cattle feeding troughs. 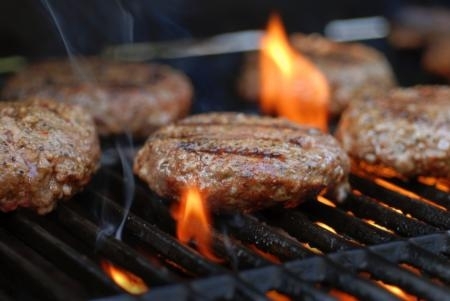 Bruhn will collaborate with North Carolina State University and Kansas State University to reduce health risks associated with undercooked hamburgers. The researchers will encourage television food programs to include safe food-handling practices and messages.